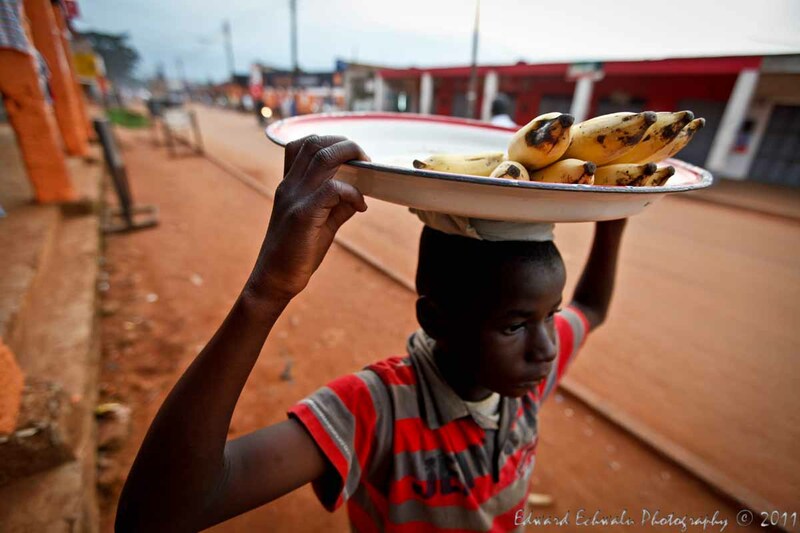 A boy hawks bananas in Gulu town during the month of July 2011. While relative peace has returned to the northern region of Uganda, post conflict challenges are still biting hard on the young. Many of these kids are orphans to the 20 year old war and do not have access to education, health services, water, homes, and parental guidance.